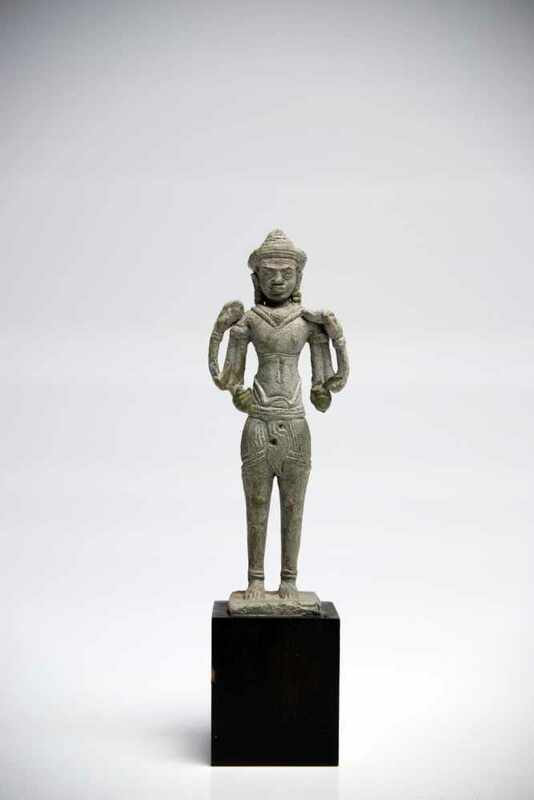 A four-armed lokeshvara in standing position from the Khmer era. 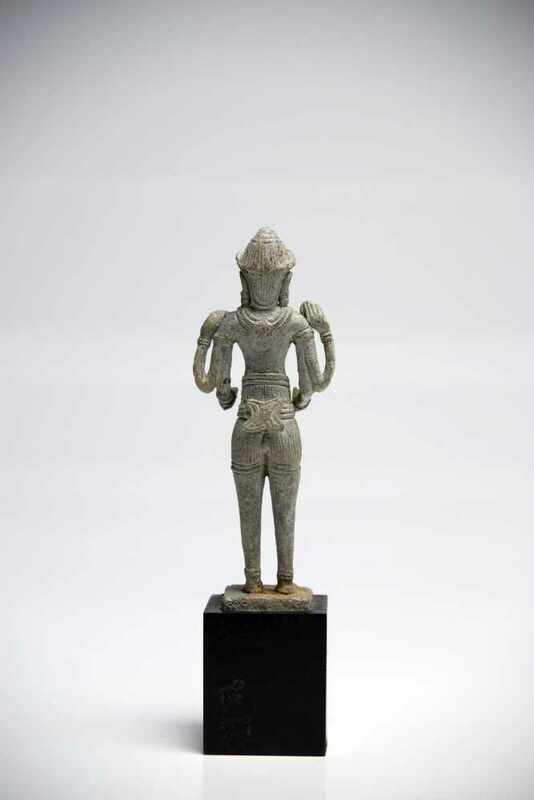 He is standing in samabhanga position, his limbs are built very slender and arms are bent in a particular way. His head is crowned with a triple layered diadem and his chest is adorned with necklaces. The deity is wearing a traditional pleated sampot high on the hips. The hanging earrings are typically Khmer style. The face is peaceful. 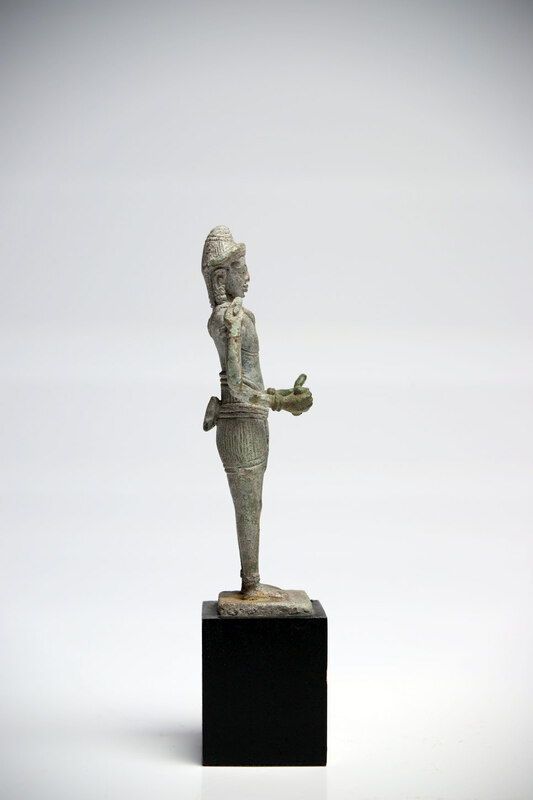 In his hands he is holding four attributes. 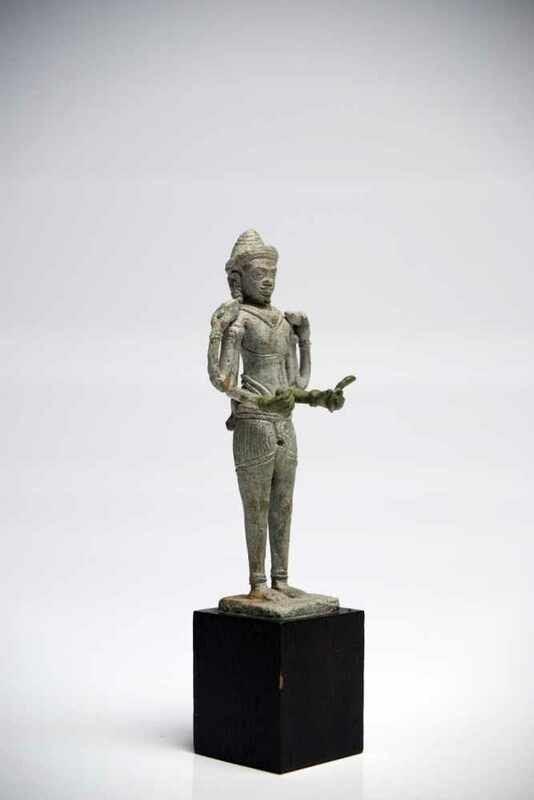 This statue reflects the Bayon style (1180 – 1230), as Buddhist art reached its peak in the Khmer era. 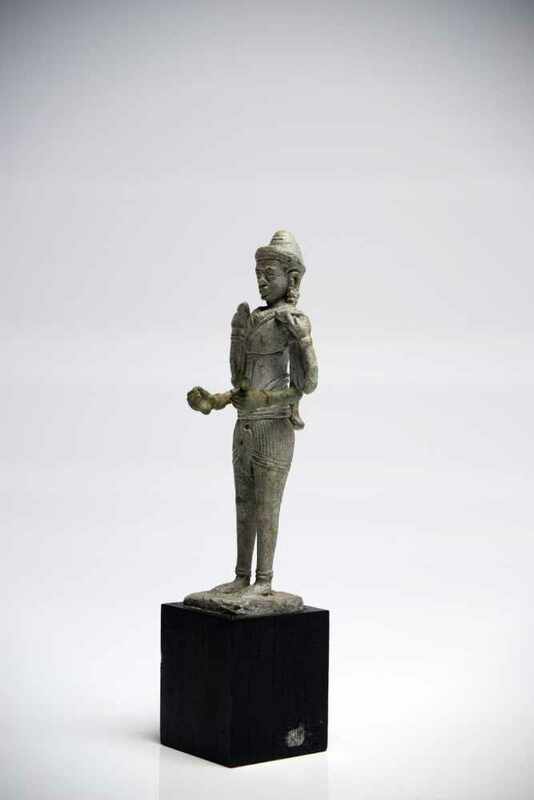 King Jayavarman VII was a devout buddhist but still tolerant of Hindu influences which are still found in this period. The art of portraiture was developed further with a return to realism, and the portrayal of royal families in the guise of Buddhist deities became common.